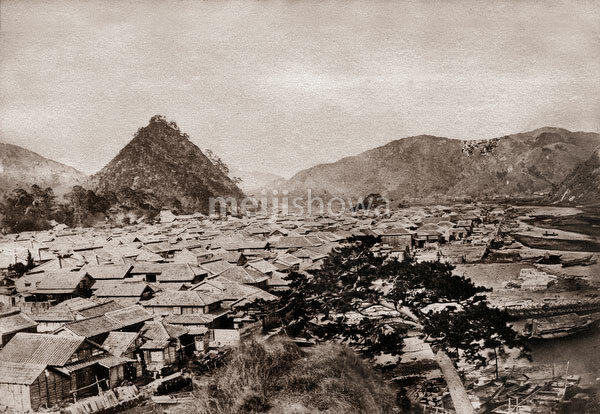 Shimoda (下田) in Shizuoka Prefecture, ca 1870s. The Convention of Kanagawa, negotiated by Commodore Matthew Perry and signed on March 31 1854 (Kaei 7), opened Shimoda port to American trade during the Bakumatsu period. In July, 1856 (Ansei 3), the first US Consulate was opened here by Townsend Harris (1804–1878) at the Gyokusen-ji Temple (玉泉寺).